As you might know, RSS Feeds are an alternative way of delivering your content to your readers. Not everyone that visited your site and liked your content will return again and again. Instead, you will have to deliver your content to them if they liked to your content, and say subscribed to your blog. They are, in fact, subscribing for your RSS feeds.These feeds will appear in their email inbox. Additionally, you can use your RSS feed to drive content on other sites of yours, or provide content to users on RSS readers. Feeds don't necessarily have to be from your blog. They can be from anything that's updated regularly, even your Google Plus. 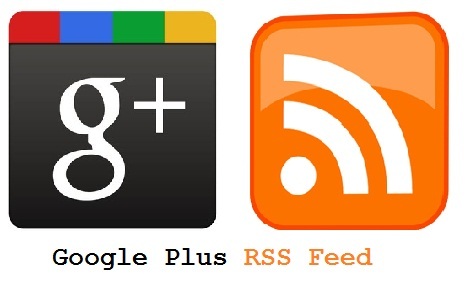 An engineer at Google developed a Chrome app, Feed+, that will allow you to create RSS feeds for your Google Plus! First of all, you need to add the Feed+ app to your Chrome. Do so by using the link given above. This useful app allows you to create Google Plus feeds for Pages as well as Profiles, hence giving you flexibility. Once installed, open up Feed+, and it will ask you permissions to access some Google services that you are using. Accept them if you want to publish an RSS feed for your Google Plus page/profile. Now, you're set to publish your feed. The feed creation requires the app to be installed. But there's no processing involved on the client-side. All the feed conversions and publications happen on the cloud. You just need the Chrome app to manage the feeds, like deleting them of adding a new one. You can delete the feed from Feed+ menu. It's pretty simple! The published feed is public, and anyone can subscribe to it, just like your regular FeedBurner feeds. Surprisingly though, FeedBurner doesn't recognize the feeds created from this service as valid, even though you can subscribe to it using any feed reader, such as Google Reader. Another problem, or rather, a short-coming of the app is, there's no option to create separate feeds for Circles. This is because Google Plus API's aren't very open-source about circles, and hence developers can't access their data.